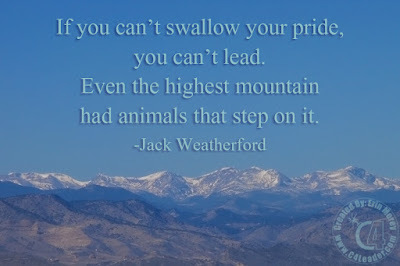 I love this quote, as it is the truth of leadership as well. I've shared it previously, but it should get its own image, don't you think? In a previous post I discussed The Quandary of Leadership, identifying that a leader has to be a realist and an optimist. 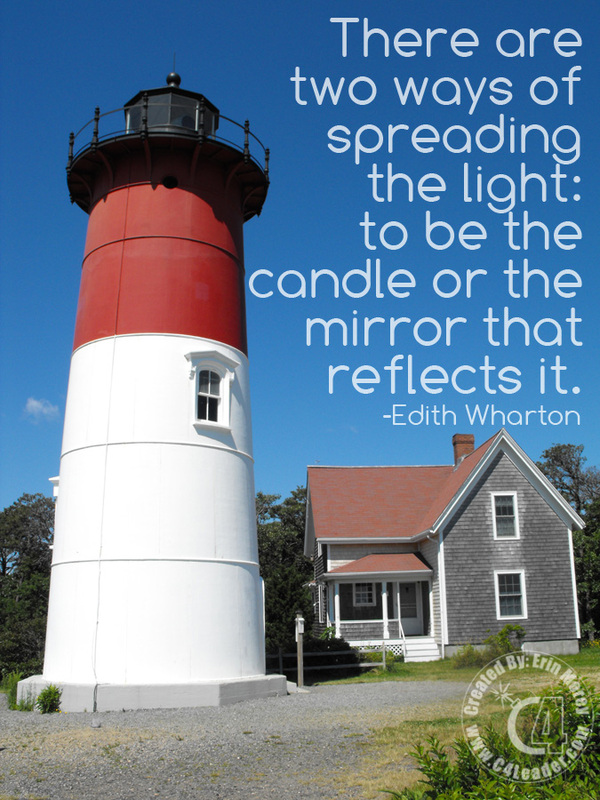 This quote was shared in that post (as well as a Quote of the Day a while ago) and the use of a lighthouse is brilliant for the analogy. Think about it, a Leader should be the candle for his / her team, providing light in the form of vision and direction, as well as pointing out and increasing awareness of obstacles in the immediate area, just like a lighthouse. But a strong Leader will not only be a candle but the mirror to the team's light, helping them strengthen and direct their actions and activities (their light) in a focused direction which will do the most good. So as a Leader, are you both the light and the mirror? Are you acting like a lighthouse for your team, providing focus and warning about hazards? It isn't always easy to reflect the light of others, especially if you are blinded by your own. This week, I challenge you to step outside your light and see what light you can direct and grow for others. You may be surprised by the result! 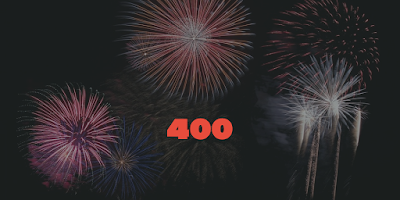 400! and What Is Project Management? As I sat down to write this post I realized it is my 400th post on this blog! 400 articles and updates, tips, tricks, quotes, and the occasional entertainment; and yet I feel like I'm just getting started. Stay with me, as there are big things planned and this year I will start using my project management and leadership skills on the hardest critique: me! With this being the 400th post, I offer this prize the first 2 people who post a comment (even if it's "Hi" will receive one of my programs) and the first 5 people will receive a copy of my Morey's Laws of Project Management Poster. As indicated last week, this week I presented Parachute Project Management to the great members of PMI Nashville. It was my first time presenting to that audience, and I'm pretty sure it was well received. After the presentation, someone asked me about what I thought of Project Management, and the technical expertise required by many businesses for projects; and another asked during the presentation about business investment in Project Management Training. I think the two questions go hand in hand. First and foremost, Project Management is about leadership; which can be hard to believe if you rely solely on the PMBOK and its focus on process and procedures. The PMBOK is a great tool, don't get me wrong. 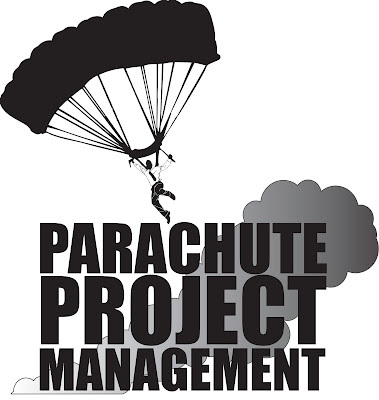 I still use the processes and procedures I learned from my PMP prep course and the PMBOK on every project I lead. But Project Management isn't solely about process and procedure, but instead another "P": PEOPLE. Enjoy these little moments of serendipity. I love the mountains. There is something majestic about them, eternal. The snow covered peaks can appear desolate and devoid of life, but it seems that life always finds a way. Microscopic algae were found in 2013 14-17 miles above the earth surface, and moss / lichens have been found near Everest's peak, not counting the humans who have summited the very top of the Roof of the world. With that in mind, no man should be so proud as to think that he / she is the greatest in the world. Something I tell myself often is "There is always someone better." The best today may not be in the future. Recently Tom Brady's name is floated as the Greatest Of All Time (GOAT) for quarterbacks. But not too long ago that name was Joe Montana, and before that perhaps Terry Bradshaw. GOATs are fleeting. From a leadership perspective. pride can be a dangerous thing. 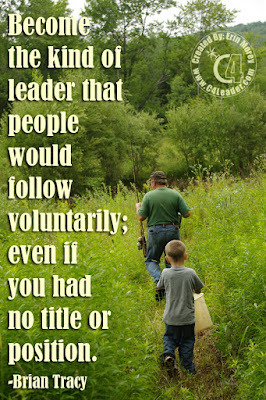 Remember that the most effective forms of leadership tend to be based on service and sacrifice. What is best for the team, rather than for the self. 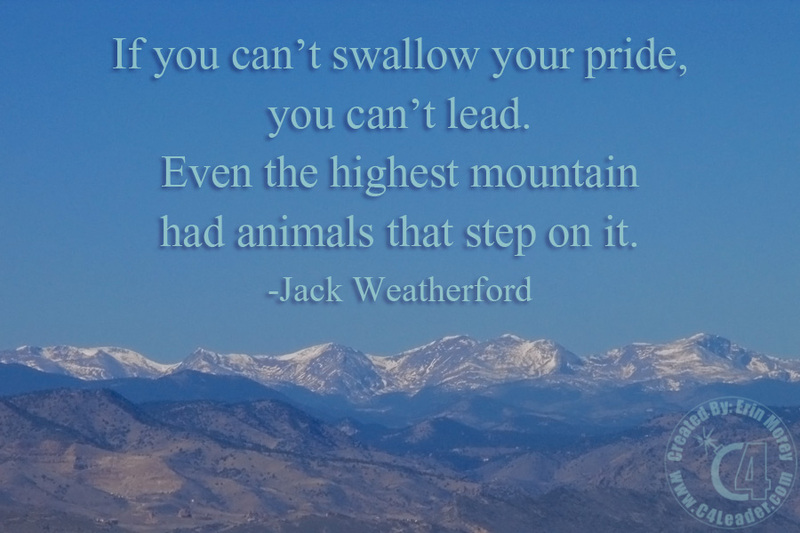 Leaders who show a lot of pride can start believing their own hype and find themselves fast approaching a cliff. To paraphrase Proverbs: Pride goeth before the fall. Next week I present Parachute Project Management to the PMI Nashville Chapter for their monthly lunch and learn on February 21st. I'm incredibly excited to be able to help out, as the chapter had a speaker back out and my schedule allowed me to fill the gap. I hope you can join me. What is the attitude of the organization towards the project? In the presentation, I mention looking at a topographical map to get the lay of the land, and I incorporate interviewing the team members and reviewing the business case / original contract. One thing I haven't mentioned before is "What is the attitude of the organization toward the project?" As yesterday was Valentine's day and I found myself away from my wife, I started to reflect on what would most people classify as the most epic love story in the last decade, so that I had something to watch in the hotel room. I settled on the classic of course: Deadpool. I love how she trims the roses. Perfect for Valentine's! Love you Honey! Whether you are a leader or a team member, everyone will face challenges in life. We will face headwinds that will push against us and our desired direction. Sometimes it's a little breeze and sometimes it is a hurricane type storm. These events will happen to anyone who sails long enough. What will you do when you run into these winds? 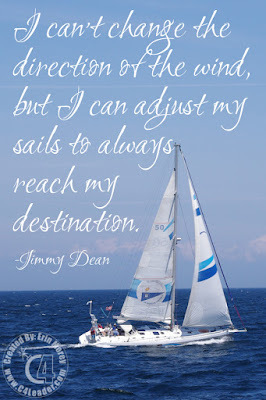 Will you let the winds push you off-course, or will you batten down the hatches, reef the sails, and continue on your course (I hope I used those sailing terms correctly; after all my brother was the one in the Navy!). To move beyond the nautical talk, you will face challenges in life, and your team will face adversity when moving toward the team's goal. Obstacles will be placed in your path, and your job as a leader will be to either remove the obstacle or find a way to get the team beyond / around the obstacle. Although the name Jimmy Dean is known for the sausage company today (which he founded), Jimmy was actually an American Singer, Actor, Television Host and businessman who lived from 1928 until 2010. I find this quote interesting because it plays on a theme. John Maxwell has a Law of Navigation within the 21 Irrefutable Laws of Leadership, which I briefly discussed back in 2012 (link here). As another example of the theme, a quote I shared here from Thomas Fuller. Where are you trying to guide your ship? How close to port are you? What wind are you facing now? Is it a breeze, a strong wind, or a huge storm? Share below and let us know. Perhaps we can find a way to help adjust the sails! Would anyone care to venture a guess why I shared this list rather than the original list (here)? Comment below, and if you are the first one to get it right before the end of the week I'll mail a copy of my Morey's Laws poster! With the Super Bowl yesterday, this one will be short. Brian Tracy is an icon in motivational speaking and self-help. It's a great quote because most leaders should strive for this as a goal. I hate to show favorites but look at Tom Brady last night. He is a leader the team followed voluntarily. The team was down by 25 points, what many thought was an insurmountable amount. Instead, the Patriots won the game, and most of the analysts say that it was Brady's leadership that did so. The Patriots players wanted to be on the Patriots because of Brady and Bellicheck. They find ways to win, and in many cases, players take pay cuts to play on that team. What are you doing to ensure that people follow you voluntarily? It can't always be about position or authority. Share some suggestions below, and perhaps we will discuss them in a coming blog post! 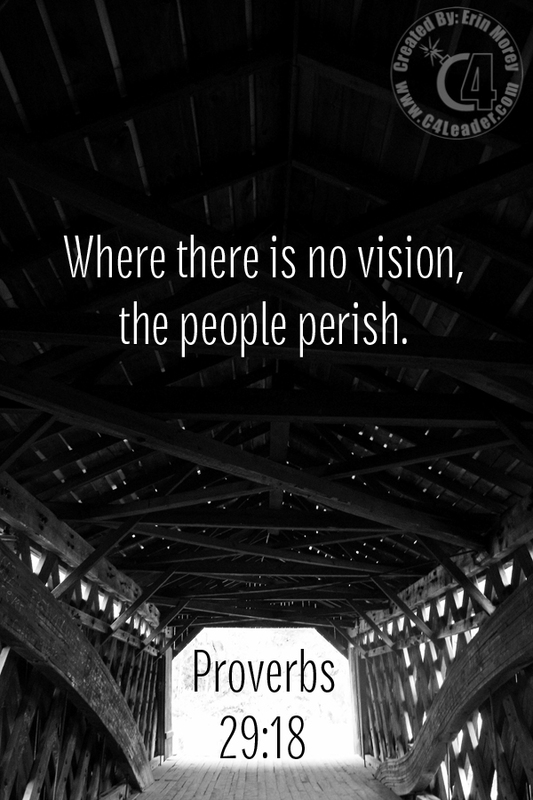 Leadership is about influence, but it is also about vision. A leader has to have the vision to see the "light at the end of the tunnel." If a leader doesn't have a vision of the end result that they can communicate, then people will not follow; but instead, stumble off in a different direction. I shared this thought with the post The Quandry of Leadership, where we discussed how a leader has to be an optimist and a realist. See and provide the light of the vision (optimist) and provide real explanations and understanding of the challenges the team faces (realist). When the rest of the team is seeing problems, you see solutions and the end goal, because you have vision while the team is wearing bifocals. 1. Veterans are mission focused - They will put in the extra effort to accomplish goals, and know what it means to sacrifice to meet those mission objectives (milestones). 2. Veterans are typically experienced leaders - Most veterans above the rank of Private First Class have at least some leadership experience with small teams (5-10), and many veterans have experience with teams much larger (possibly in the hundreds). 3. Veterans know how to work in a high-stress environment - Working in combat environments is one thing, but all veterans have worked in high-stress environments, with some of the highest stakes a team can be responsible for.